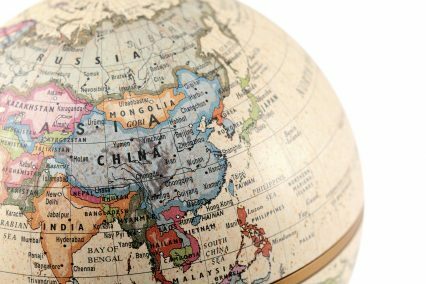 Jin Liqun, the president-elect of the Asian Infrastructure Investment Bank (AIIB) has used a European business forum to reveal some of his plans for the new bank. Despite the IMF this week agreeing to include the Chinese renminbi (Rmb) in its Special Drawing Rights (SDR) basket of reserve currencies, Jin told the European Chamber’s annual conference that the US dollar would be the currency of choice of the AIIB, for reasons of convenience. While the US is not a founding member of the AIIB, the US dollar is so dominant in trade and investment terms that it would be counterproductive to use the Rmb, when so few of the 57 AIIB members have concrete experience dealing with it. The timing of the announcement – on the heels of the IMF confirmation – comes as something of a surprise, with analysts having expected the Rmb to play a key role in the AIIB’s development. This week, Standard Chartered’s head of trade, product management, Michael Vrontamitis, told GTR that he “would expect that”, when asked whether the Rmb would be used in AIIB and Silk Road project financing, but that “it depends on the projects they finance”. Jin also reveals that he expects the bank – which is to be inaugurated under his presidency later this month – to lend between US$10bn and US$15bn a year for the first five to six years of its existence. He expects the first lending to take place in the second half of 2016. “In regular years, given US$100bn in registered capital, I think every year I expect to do probably US$10bn to US$15bn, for the first five or six years,” Jin said. He said that another 30 countries are awaiting membership, which would be a boost to the member-generated pool of capital available to the fund. Jin encouraged countries around the world to apply for membership. “The AIIB should not be limited to Asian countries, and it can only succeed if European and countries from other continents join. It is crazy to reject any other countries in the world and not to seek advice in running the bank, and for European countries, joining the AIIB is an opportunity to do different things and do things differently,” he said. Jin also confirmed that talks are underway with the World Bank and the Asian Development Bank (ADB) about potential co-financing initiatives. Talks have been known to be underway for some months.